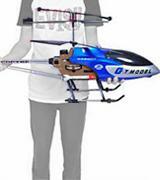 The helicopter has an LCD screen that shows you the detailed information about the movements of the toy RC helicopter. 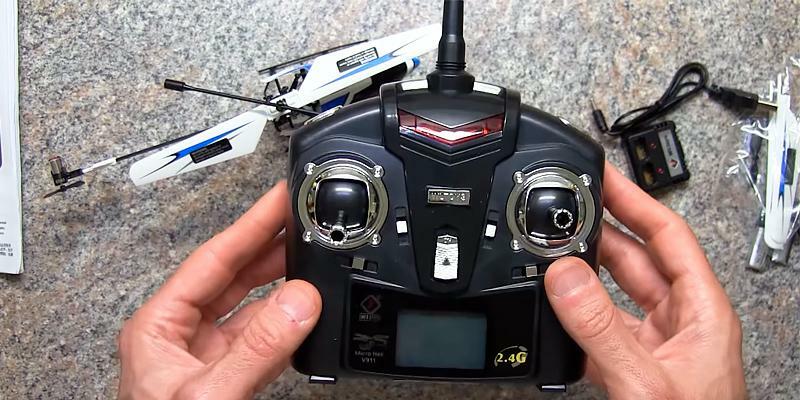 This electric RC heli requires some skill to control it well enough. 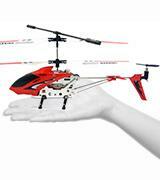 This WLtoys RC helicopter is very agile and it can perform most of the stunts. Also, it's the best way to get your child interested in technology and aviation. 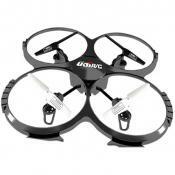 This best electric RC heli has a built-in camera and can record videos and take photos from a bird's eye view. You can do it at night too thanks to the LED light in front. It's a bit difficult to replace an integrated battery if it runs flat. This is a fantastic RC helicopter for people who want not only to enjoy controlling the flying vehicle but also make the best shots. 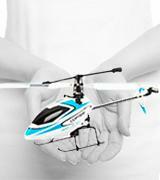 This small RC helicopter can be charged from the RC which is a significant advantage if you use the heli outdoors. 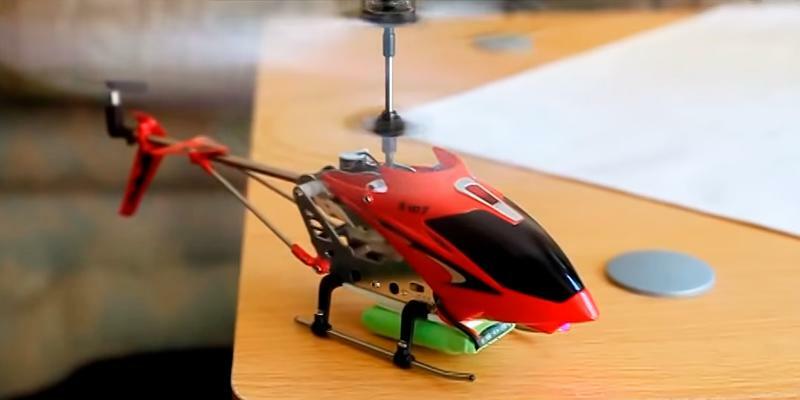 This RC helicopter is too small for distant flights - you won't able to see and control it. 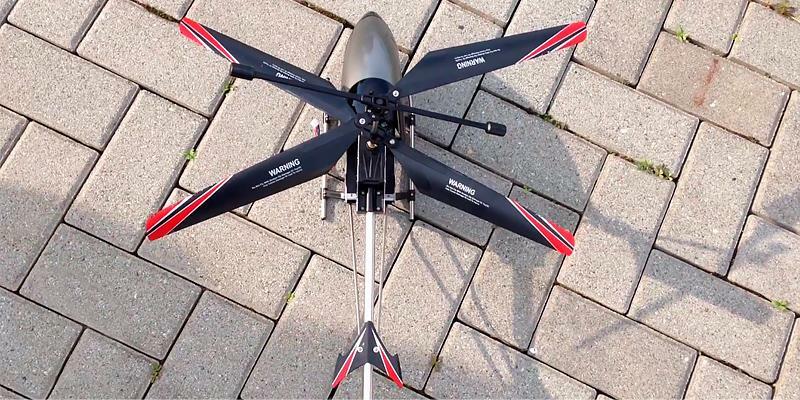 It's the best electric helicopter to try outdoors flights, because it can fly even in the small wind. The item is quite durable thanks to the metal frame. 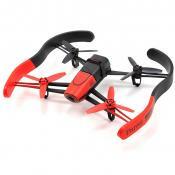 Syma RC helicopter has a handy 4-in-1 remote that combines a receiver, mixer, ESC, and gyroscope. Therefore, you have a full control over the heli. For indoor use only, because the sunlight will affect the infrared remote control of this unit. 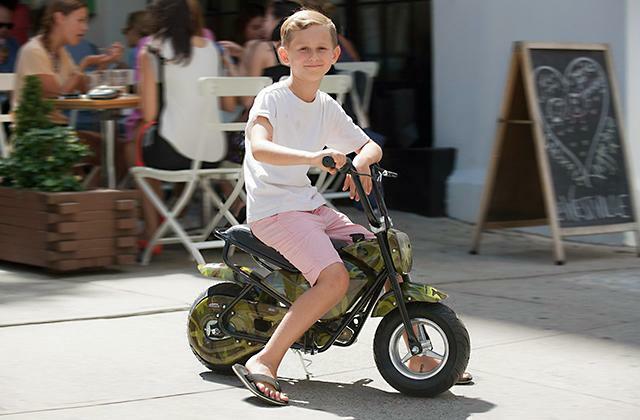 SYMA S107 makes a great present for your kids and, what's important, it's very affordable. Infrared control, 3 channels, Directions: up/down, forward/backward, turn left/right. 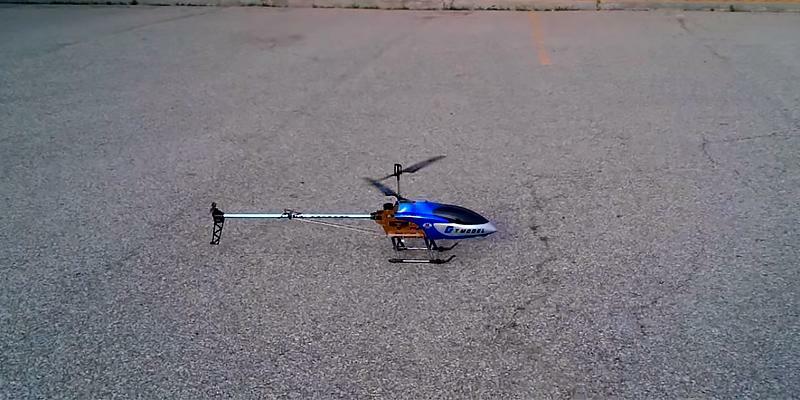 You can easily fly this RC helicopter at night thanks to multiple LED lights. 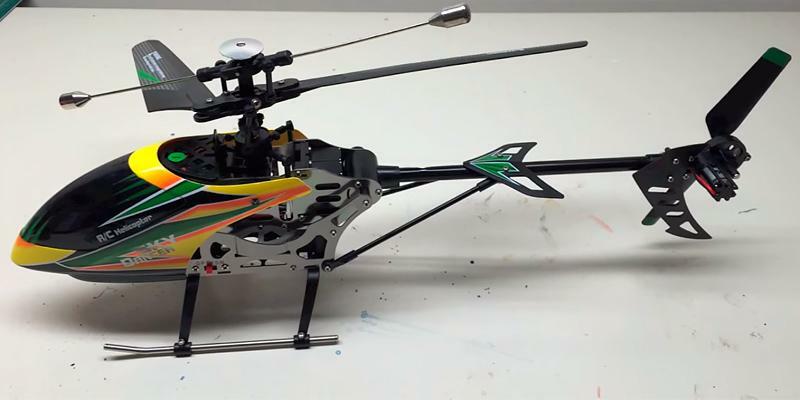 This large RC heli can travel at one of two available speeds. 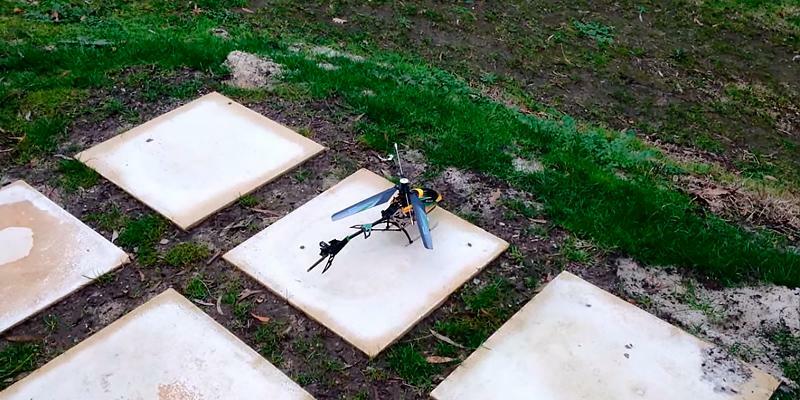 Avatar RC helicopter is quite big, so you must use it outdoors or in large indoor spaces. 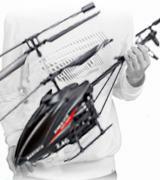 One of the best large remote control helicopters available. Combines excellent maneuverability, long control range, and wind resistance. If you think you have already learned how to control the electric RC helicopter indoors and want to try it out outdoors, this model will suit you best. 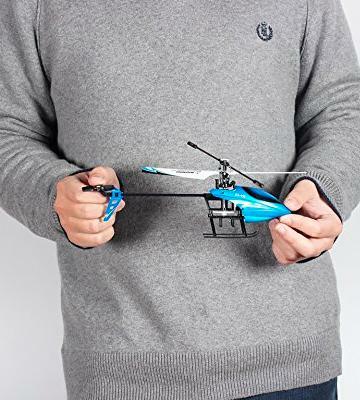 This RC helicopter is relatively big (weighs 300 g), so it can fly even if it's a bit windy (wind grade up to 4-5), though we don't recommend you to fly it too high. 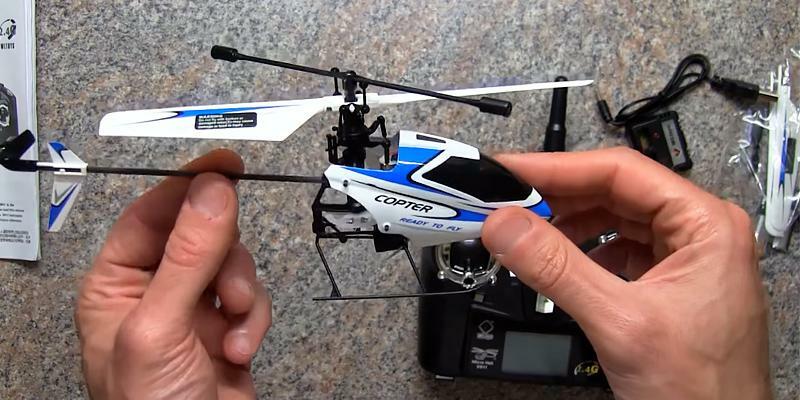 If you want to buy this RC heli for your child, make sure to teach him how to control it. The flying vehicle is more than 20 inches long, so you might damage some furniture in your house if you fly it at home. 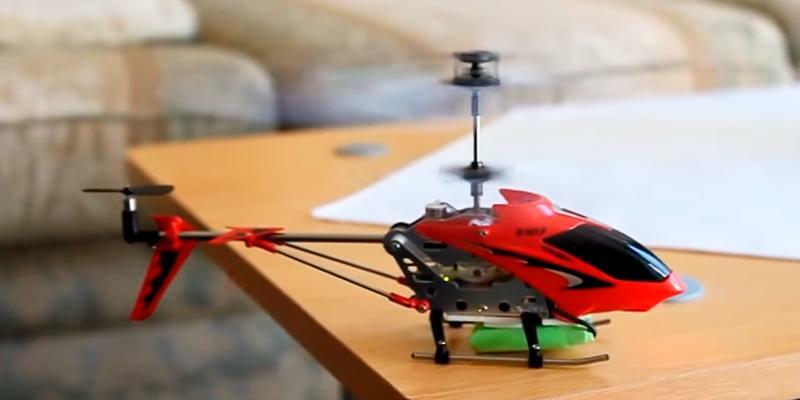 This is one of the most popular toy helicopters on the market. It has a classic design - a single blade with a rear anti-toque tail rotor. A mechanical gyro (which is referred to as a flybar) is used for balancing the flying vehicle. In general, this model is really agile and an experienced 'pilot' can make all kinds of stunts on it. The frame is made of aluminum, whereas the outer parts are plastic. 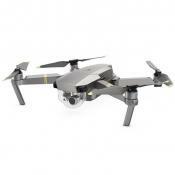 The model comes with a Li-polymer battery which ensures up to 7-8 minutes of flying. Afterwards, you need to recharge it for about an hour and the wall charger is required. This electric remote control helicopter is extremely maneuverable and the remote uses radio waves, so the control range reaches 60-80 meters. Unlike some other models, the heli can fly right or left just like a real helicopter. Also, you can make it rotate around its axis (in any direction). 2 speeds are available - faster and slower. The remote works on the frequency of 2.4 GHz and uses 4 channels that ensure the maximum control. The remote also 'remembers' the heli, so the signal from other similar remotes won't interfere with yours. There's also a small LCD screen which makes it easy for you to control the flight of helicopter. 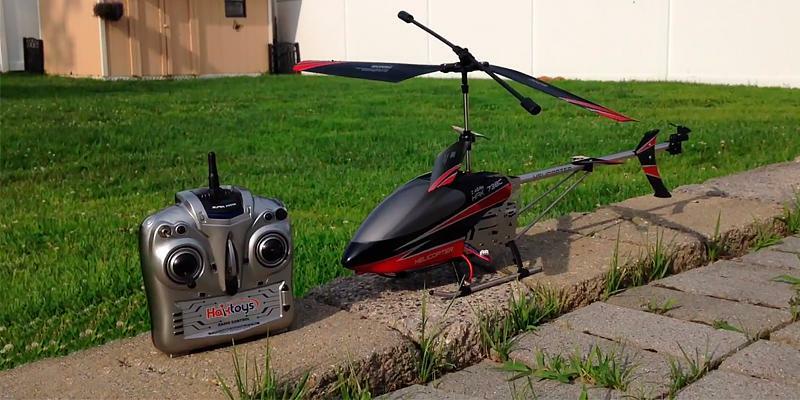 This is a large Haktoys RC helicopter that you can fly indoors and outdoors. Since the unit weights more than 580 g, it's heavy enough to resist wind up to 5 MPH. 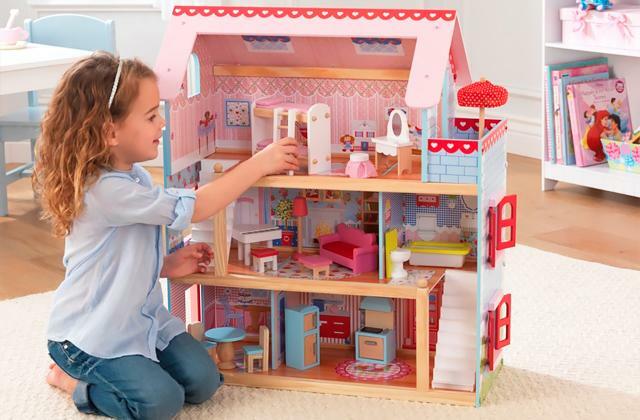 This model is 30 inches long, so flying it in your house is quite dangerous. We recommend you flying outdoors. Keep in mind that it's a serious toy which must be used by people aged 15 and older. Otherwise, the adult supervision is required. 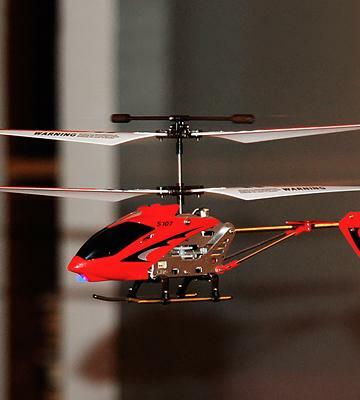 Buying this model for your 8-year-old son makes sense only if you teach him fly this heli. 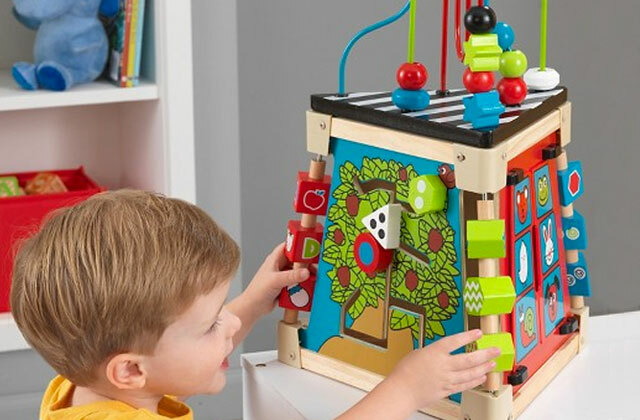 This fantastic toy looks awesome and has a metal frame with a plastic front part. It's a coaxial helicopter, so it has 2 blades which are shock-resistant in order to make the unit as durable as possible. Also, there's a gyro that makes the heli stable. The Li-ion battery has a huge capacity - 1500 mAh. It's enough for up to 9 minutes of flight. Wall charging is required and it takes around 2 hours to charge the battery. Therefore, you'd better do it in advance. 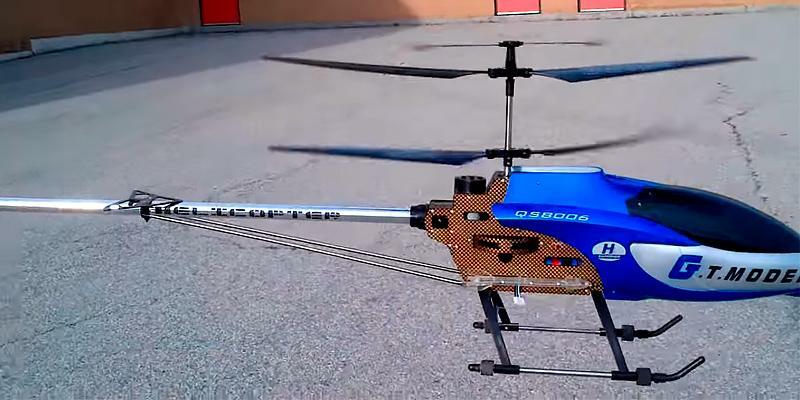 This electric HR helicopters gives you the full control for several reasons. Firstly, it has a 3.5-channel radio remote which allows you to fly the vehicle forward/backward, up/down, turn and fly left/right, and even turn around the axis (clockwise and counterclockwise). You can also choose one of 2 available speeds. Next, this large remote control helicopter has LED lights that let you know where it is even in the dark. 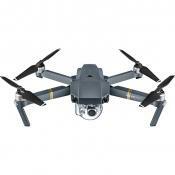 Finally, this model has a built-in camera, so you can shoot a video or make pictures from the bird's eye view. The data will be saved to an SD card (there's a special slot for it). 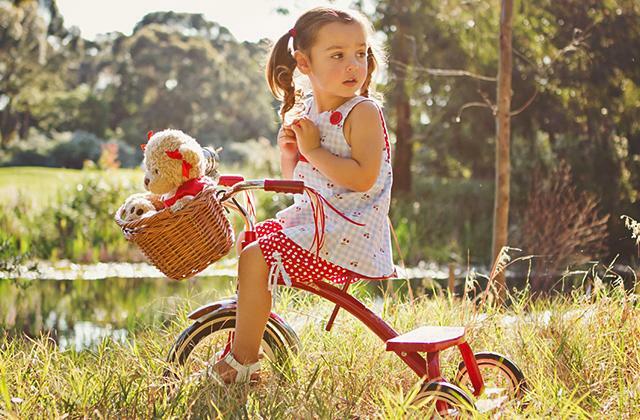 Your kids will love shooting videos and taking pictures. Maybe, your son will choose a career of a pilot after playing with this helicopter! 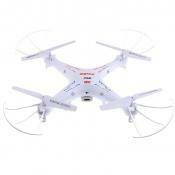 This is one of the cheap remote control helicopters that is suitable for novices and kids. This model, however, is quite durable and even it falls down, it doesn't mean the vehicle breaks apart. 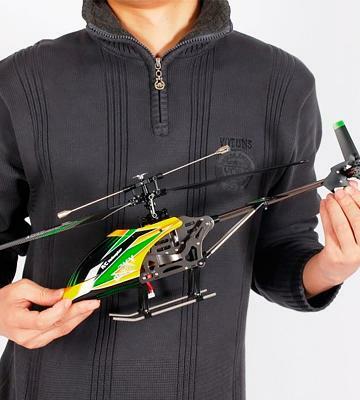 Still, if your kid is under 15, you should fly this electric RC heli with him. The model can be used indoors or outdoors, but it's very lightweight (just 27 g) and controlling it in the wind might be too difficult. Best of all, choose the good weather where the wind is nearly absent, or fly the heli indoors. It's a single-rotor helicopter has a 1 blade and a tail rotor for balance. Also, the unit has a mechanic flybar. The frame is made of metal and it makes the vehicle resistant to accidents. The front cockpit is made of plastic and has a streamlined shape. 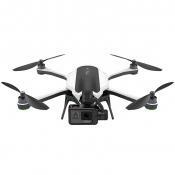 The rechargeable battery has a low capacity (just 120 mAh), so the flight time is 5-6 minutes. The battery can be recharged in several ways - wall, USB, or the remote itself! 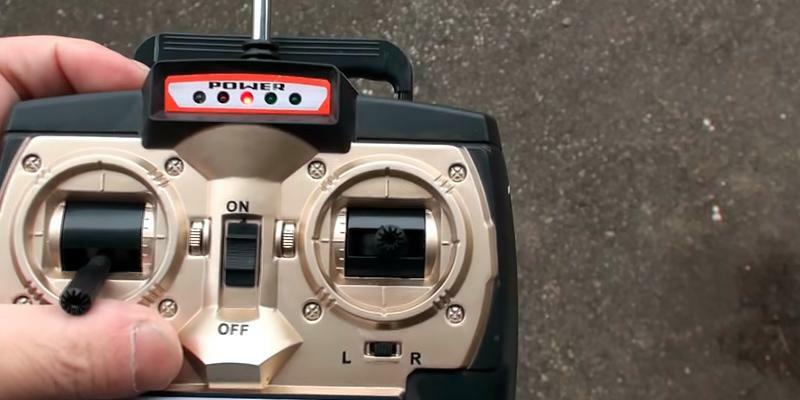 Yes, you can plug the electric RC heli to the remote and charge it without any other power source. A small battery has one more advantage - the charging time is just 30 minutes. First of all, this small radio control helicopter has a 4-channel radio remote which gives you the full control options, but requires some time and patience to learn using it. Thanks to the remote, the electric RC heli can fly forward and backward, up and down, fly left and right, and even rotate around the axis. Therefore, the small size doesn't mean poor flying - the vehicle does lots of stunts. However, don't fly too high for fear of wind gusts that can bring your radio control helicopter down. The control range is 50-80 meters which is quite a fantastic result, but the heli is so small that you might not see it if you fly it too far. It's one of the best-selling mini Syma RC helicopters that is very popular with novice pilots for its stunning agility and affordable price. This flying vehicle is designed for indoor use, because it's too small and lightweight (just 34 g). 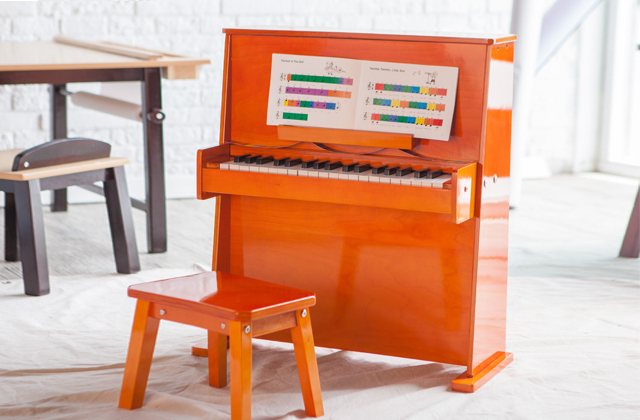 No need to say, this Syma model is a fantastic choice for children. 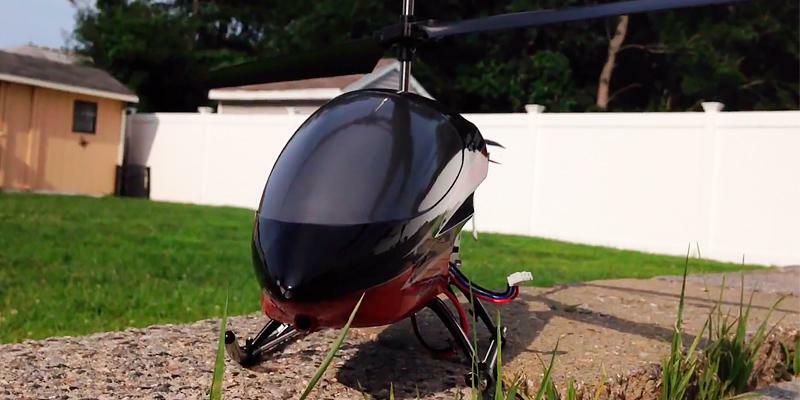 If you want to get your kid interested in flying - this electric RC heli is perfect. However, age range is 14+, so if your kid is younger, always be nearby when he's flying this vehicle. Though this is a cheap remote control helicopter, it boasts a coaxial design, which means there are 2 blades. The gyro is used to make the helicopter even more stable in flight. 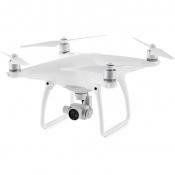 The aluminum frame is lightweight and durable (it's unlikely that you manage to avoid crashes). The Li-polymer battery has the capacity of 150 mAh which is enough to ensure 6-7 minutes of flying. 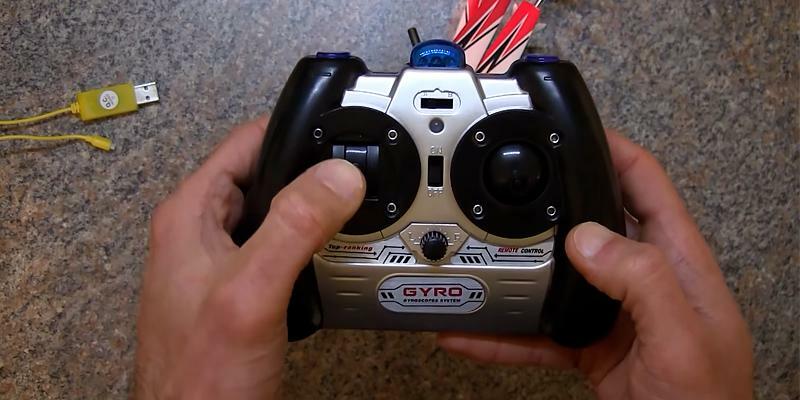 You can recharge the RC heli for about 40 minutes right through any USB port (of your laptop or PC, for example). This is one of smallest Syma remote control helicopters that use an infrared remote and that's, actually, the main reason why you can't use the unit outdoors. 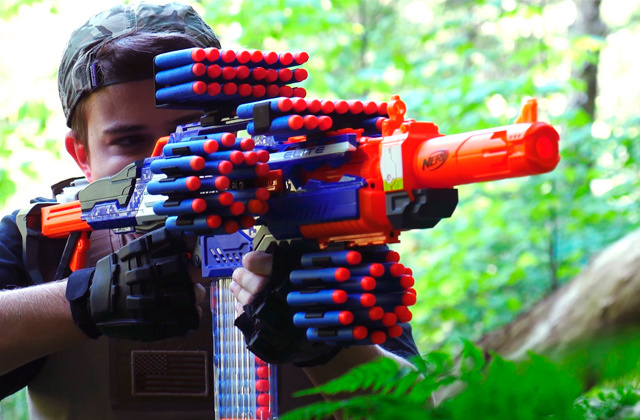 The control range is small - about 10 meters. But it's enough for flying at home. The remote has 3-channel control and allows you to make the heli move up and down, turn left and right, fly forward and backward. Therefore, this is a vehicle for beginners. More experienced pilots would prefer a more maneuverable helicopter. This is the largest model on our shortlist of the best RC helicopters and that's why it's for outdoor use only. The weight of 2.8 kg and the length of nearly 53 inches make this unit far too big for flying indoors, so never try it, unless it's a huge hangar. 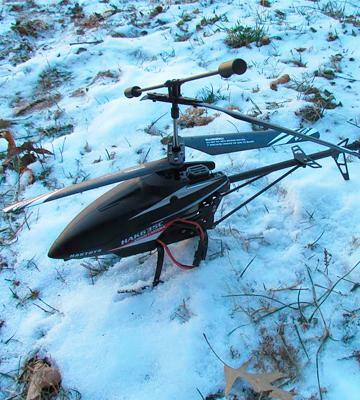 No need to say, this electric RC helicopter resists the wind quite well (up to grade 3-4). 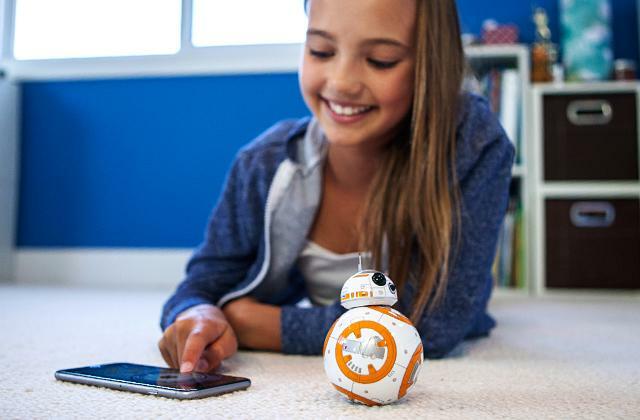 However, it's not a toy for kids - this model is suited for people over 15. Avatar has chosen a coaxial design for its large remote control helicopters: there are 2 blades and a mechanical gyro above them. 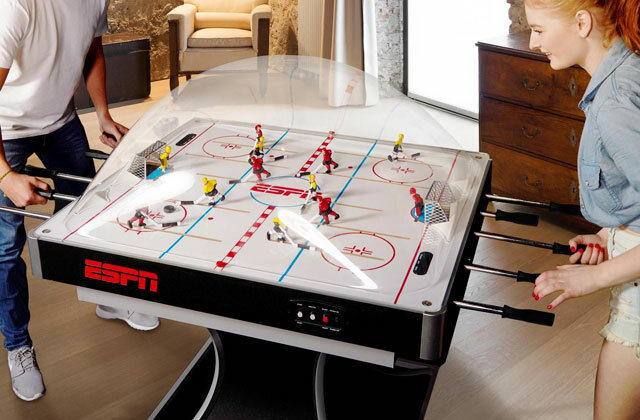 The frame is made of metal, so the unit is durable. However, it's not lightweight, so don't hit anyone! There are 2 stylish missiles on both sides, so it's one of electric remote military helicopters. 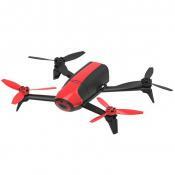 The battery has the capacity of 1500 mAh, but the flight time is 7-8 minutes. Don't forget that this heli is quite heavy and the battery has to pick it up. The charging takes almost 3 hours (wall charging required), so you must wait for quite a long time if the battery runs flat. This RC heli has a 3.5-channel radio remote which allows you to control the vehicle within 100 meters. The remote allows you to fly the heli forward/backward, up/down, turn and fly left/right, rotate clockwise and counterclockwise. Night flights are also possible thanks to several LED lights, so that you know where the helicopter is. The remote has no LED screen, but it isn't a problem at all, most users don't even need it. A lot of people and, probably, the majority of boys and men dream of flying and it's now possible to feel like a real pilot with RC helicopters. Though these flying vehicles are considered to be just toys, they have a sophisticated mechanism inside. Toy RC helicopters are quite 'adult' in terms of maneuverability. Just like real ones, they can fly forward and backward, fly right and left, turn right and left, rotate clock and counterclockwise, etc. This is the best way to get your kids interested in technology and flights, as well as spend time with children. Not only men like electric RC helis, but any mother will try flying this vehicle too! Later on, people get so fond of flights that they try huge drones. But the choice of the right model of remote control model helis is quite difficult and that's why we've prepared this helicopter review. 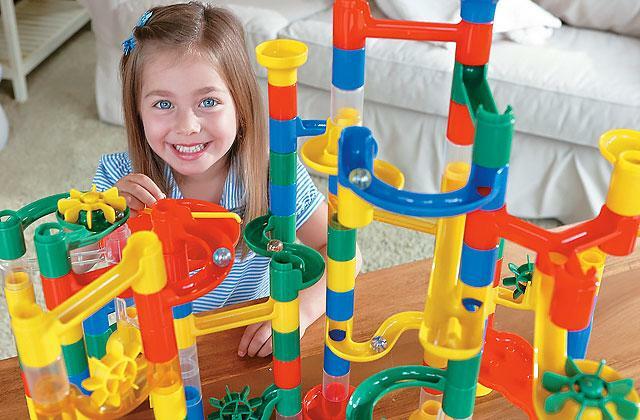 You might also like another popular toy for fathers and sons - Car Model Kits, RC Cars, Car Toys and Toy Robots. The first feature you need to consider when you are choosing a RC helicopter is the Flight Options it provides. You should clearly realize where you're going to fly the vehicle - indoors (at home or in any other building) or outdoors. No need to say, controlling the RC heli is far easier indoors since there's no wind or rain. The size of the helicopter also matters - a small one is preferable for flying indoors, while the large RC helicopter will be suitable for outdoor flights. Keep in mind that heavier models resist gust of wind quite well and small and lightweight RC helicopters might be downed by the wind. However, no matter which model you choose, you must always read the manual before flying a helicopter in order to ensure the maximum safety. 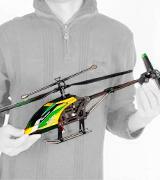 The nest step you should make is to check the Construction of all RC remote control helicopters. First of all, you must know that there are 2 major helicopter design schemes - with a single rotor and with a coaxial rotor. It's easy to make difference - a single-rotor design is distinguished by only 1 blade and an anti-torque tail rotor, whereas coaxial helicopters have 2 blades that rotate in opposite directions (this design is used by Russian Kamov company on their helicopters). Just like their full-sized counterparts, electric RC helicopters with the coaxial design are more stable in flight and the standard ones boast a better maneuverability. 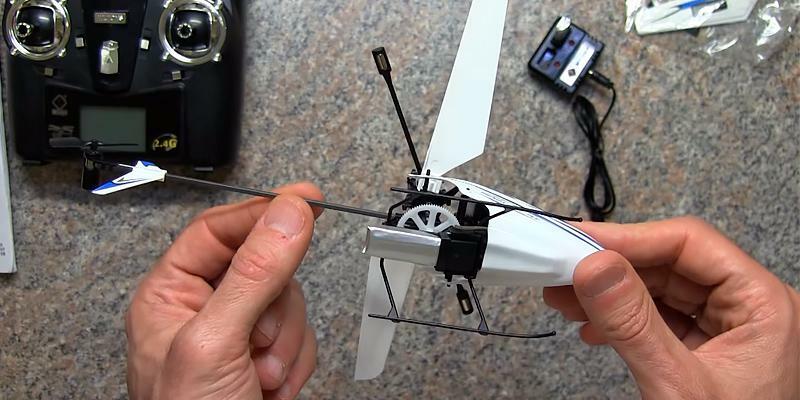 Also, a good RC helicopter should have a gyroscope (flybar) which keeps the balance and ensures a trouble-free flight. Don't forget to check what the heli is made of - most of them have a metal frame and plastic outer parts. And don't forget that even toy RC helicopters need some power source, so all of them have rechargeable batteries. You should know how long the flying vehicle can work on a single charge. 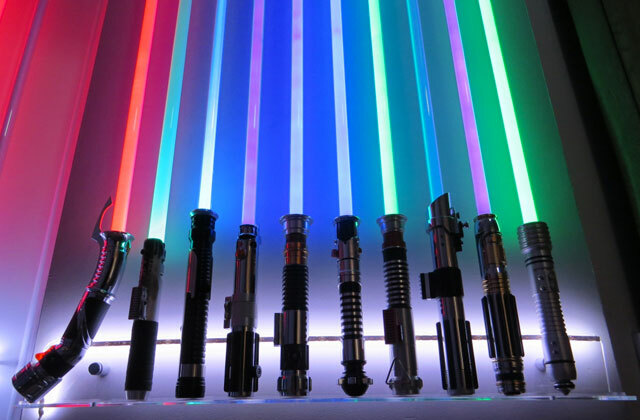 And you certainly need to learn what types of charging are available to each model. 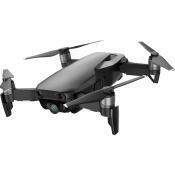 Most electric RC helicopters are wall chargeable, though most of them can be charged through the USB port of any device. 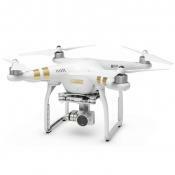 However, some models can be charged through the remote itself which is very convenient if you fly the heli outdoors. Finally, you must check the Controls the RC helicopter and what type of remote signal is used. There are 2 main types of remotes - those based on radio waves and those based on infrared signals. As usual, infrared remotes have a limited control range and they are mostly used on small lightweight helicopters. And keep in mind that the sun emits infrared waves too, so if you use such a remote outdoors, it might function improperly. 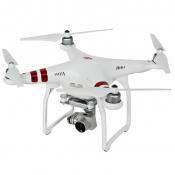 Radio remotes are used on larger electric RC helicopters and mainly outdoors. Surely, if you want to make all kinds of helicopter stunts, you'd better choose this type of remote control. Also, find out how many channels a remote has. The simplest models have 2 channels but it's insufficient for stunts. The best remote control helicopters have 4 channels, but novices will find the controls too difficult. Check out how exactly a helicopter can fly: most RC helicopters can fly backward/forward, left/right, rotate clockwise and counterclockwise. And if you wish to fly a helicopter at night, choose the models that have LED lights, so that you can control the heli and see where it is. 1. Bobby Bernstein Top 5 Best RC Helicopters for Sale: The Heavy Power List, Heavy. January 2, 2015. 2. 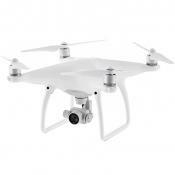 Jim Martin Best drones 2016: Best drones with cameras for first-person view and aerial photography, TechAdvisor. April 5, 2016. 3. 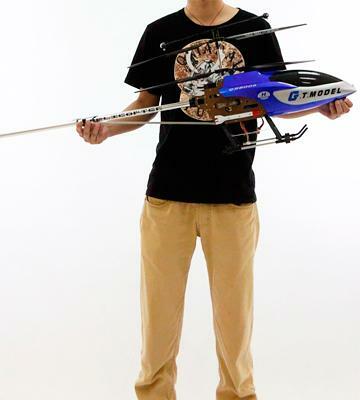 Jacob Anderson What are the Differences Between RC Helicopter Channels? Hobbytron. 4. Alan Perlman Are Quadcopters Better Than RC Helicopters? Uavcoach. July 22, 2015. 5. 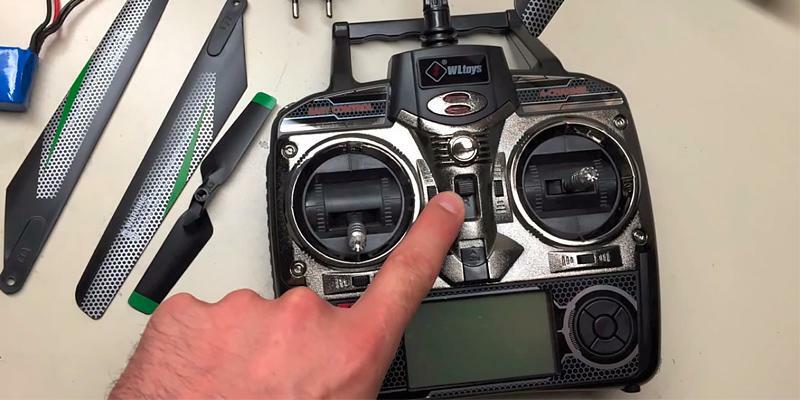 How to Choose the Best Indoor RC Helicopter, Hubpages. February 14, 2012.